This post is for Debian logo spotted in daily life. This photo was take by a friend of mine in France. 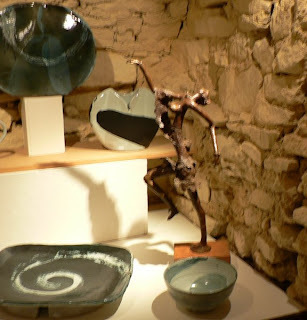 The place was a pottery artists gallery in St. Pere, Vezelay, France (excuse absence of accents, because of keyboard issues). You can see the swirl in the mortar bowl in white.